Western Michigan continued its hot run, now on a four-game win streak after taking down Niagara on Friday and Saturday by a combined score of 10-5. Ethen Frank’s late second-period tally, and second of the game, held up as the game winner, as Niagara struck early in the third to come within one but no further for a 3-2 final. The floodgates opened for WMU on Saturday, as the Broncos scored early and often, including four in the first period. Josh Passolt potted a hat trick in the contest and added an assist. Thirteen different Broncos found the scoresheet en route to a 7-3 victory. Trevor Gorsuch picked up a pair of wins, as he stopped 20 of 22 in Friday’s win and 25 of 28 on Saturday, to improve to 4-2-0 on the season with a .922 save percentage. WMU improved to 8-6-0 on the weekend. The Broncos next host Minnesota Duluth this weekend. 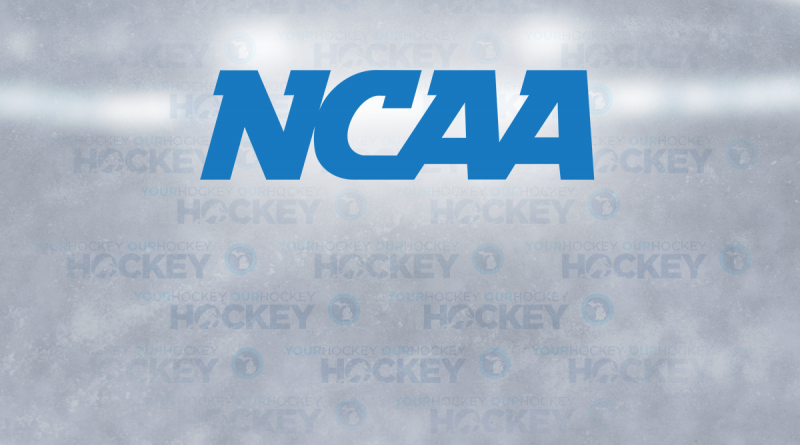 It was a successful weekend for Michigan Tech, especially with regards to WCHA play. Though Friday night’s game goes down as a 3-3 tie overall, the Huskies took the extra WCHA point in overtime as Jake Lucchini scored on a 2-on-1 to end the game. With both teams entering the final frame on Friday tied at two, Michigan Tech took an early lead off an Alec Broetzman goal. But Bemidji State’s Charlie Combs evened it up at three at 14:18 to send both teams into overtime, where Lucchini finished it off. Saturday saw Dylan Steman and Alex Smith each record a pair of goals to lift the Huskies to a 7-2 win. MTU scored the game’s first six goals and kept BSU off the board until the third period. The pair of wins lifted MTU to 8-5-1 overall. Ferris State was in Fairbanks this past weekend to take on Alaska, and fortunately the team was unaffected by the earthquake that hit Anchorage. After a late tying goal by Cooper Zech in the third period on Friday, Alaska’s Steven Jandric scored 21 seconds into overtime to give his Nanooks the win. Zech and Coale Norris each potted a goal and an assist in the contest. On Saturday, the Bulldogs struggled to beat Alaska netminder Gustav Grigals, peppering him with 35 shots on the evening and only finding the back of the net twice. Zech, a South Lyon native and Victory Honda alum, continued his red-hot season by scoring and assisting on the only other Ferris State tally. The Bulldogs host Bowling Green this weekend before a trip to Marquette to face Northern Michigan the following weekend. Thoughts with those impacted by earthquake in Anchorage. Thankfully @FerrisHockey safe and sound in Fairbanks but thoughts with all those affected! The No. 20 Lakers hosted the No. 4 Mavericks in WCHA action for a weekend set at Taffy Abel Arena. Diego Cuglietta scored both LSSU goals in Friday’s 4-2 loss. On Saturday, the offense was hard to come by, as Minnesota State’s Dryden McKay recorded a 23-save shutout to keep the Lakers at bay. It was only the first time all season that LSSU has been shutout. Lake Superior State (7-6-1) heads to Alaska this weekend before a showdown against USA Hockey’s National Team Development Program Under-18 Team in Plymouth on Dec. 16. Northern Michigan was off this past weekend and will begin an all-Michigan December with a home-and-home battle with Michigan Tech on Friday and Saturday. The following weekend, the Wildcats will host Ferris State for two games before heading into the holiday break.